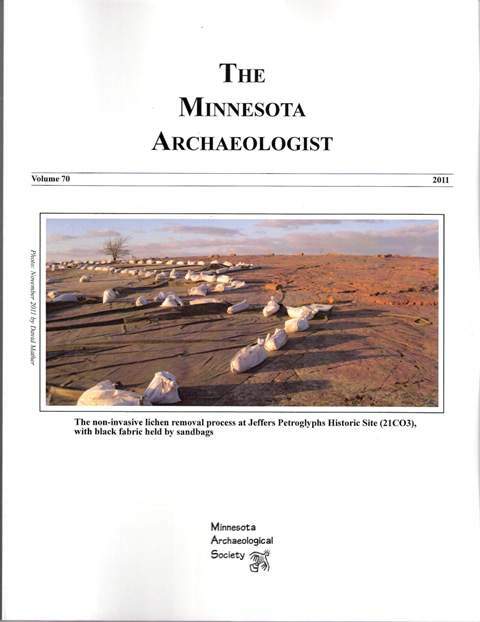 The latest issue of The Minnesota Archaeologist, Volume 71, 2012, has been published and was mailed late last week (Jan 19). This volume includes a series of short research notes on recent archaeological surveys in the state. Major reports include a couple of articles on paleoIndian sites near Thunder Bay, Ontario. David Mather discusses Minnesota archaeology and the National Register of Historic Places. Articles also address a number of new radiocarbon dates from five Minnesota sites, excavations at the multicomponent Woodland occupation at the Big Rice Lake Site, and public archaeology initiatives used by St. Cloud State University faculty at an on campus archaeological site. The issue also includes an index of all the journal articles from 1939 through 2010. There is a little something for everyone. Check out the index here. 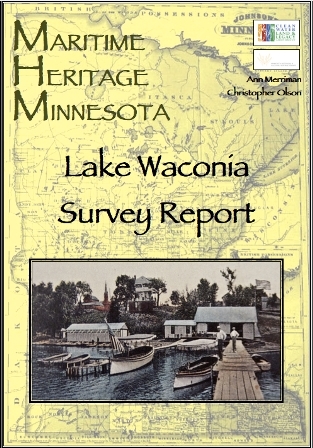 You can contact the Minnesota Archaeological Society for a copy of this issue. Guy Gibbon’s new book about the archaeology of Minnesota is now available from the University of Minnesota Press. The Archaeology of Minnesota is the first new book focusing on Minnesota’s archaeology in well over a decade. The book is very readable, nicely illustrated and will be of interest to the public, students, and avocational and professional archaeologists alike. The focus in on Precontact Minnesota. Gibbon uses information from archaeological excavations and the past environment to reconstruct the lifeways of Minnesota’s early inhabitants. The latest issue of The Minnesota Archaeologist, Volume 70, 2011, has been published and will be mailed out to subscribers the last week of October. This volume includes a series of short research notes on recent archaeological surveys in the state. Major reports include one about the excavation of archaic and woodland burials at sites 21HE0002/21HE0092 in 1995. David Mather discusses Minnesota archaeology and the National Register of Historic Places. Articles also address searching for Le Sueur’s saltpeter caves at Lake Pepin, recognizing cultural modification of jasper taconite and Knife Lake siltstone debitage, and doing survey in Oman. There is a little something for everyone. Check out the index here. 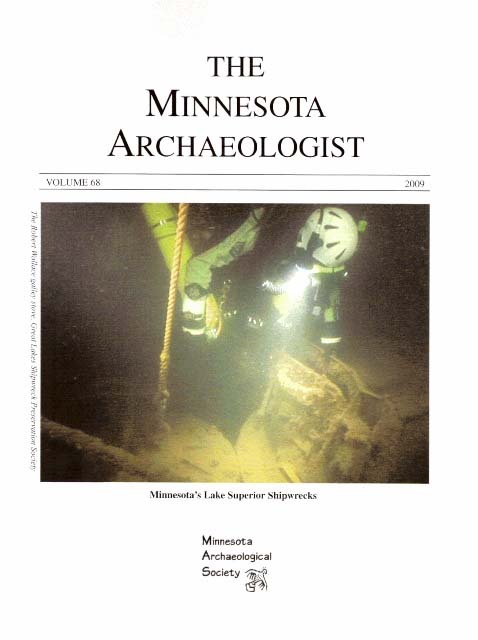 You can contact the Minnesota Archaeological Society for a copy of this issue. Minnesota does not immediately come to mind when one thinks of nautical archaeology, but with 10,000 lakes there is lots of potential. Maritime Heritage Minnesota (MHM) has recently posted the results of side and down imaging sonar surveys of two lakes, White Bear Lake and Lake Waconia. 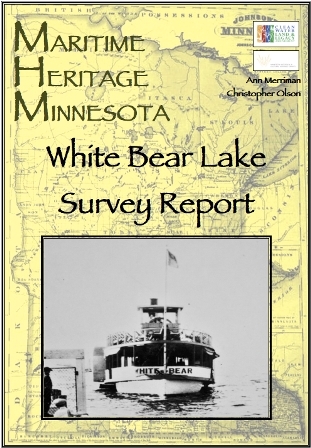 The White Bear Lake survey located three wrecks along with 21 other anomalies that they felt merit additional scrutiny (White Bear Lake Report). In Lake Waconia forty-six anomalies were located, one of which might be a shipwreck (Lake Waconia Report). As time and funding permit the staff at MHM plans to dive on a number of these anomalies and wrecks to better document their true nature. If you are interested in underwater archaeology or the history of either of these lakes (the reports include a number of historic photographs of watercraft on these lakes) check out these reports. 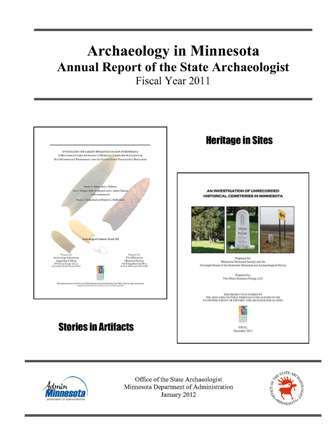 The Minnesota Office of the State Archaeologist (OSA) has posted its’ latest annual report to the OSA web site. The report is an overview of what has taken place archaeologically around Minnesota in the last fiscal year and includes summaries of the various reviews the OSA has undertaken during that period. Since the annual reports are to be completed on a fiscal year basis, it covers July 2010 through June 2011. Click here to view the report. Stephen Kelly has created a database (Excel file) of Minnesota Archaeologist articles and authors from the Minnesota Archaeological Society’s (MAS) CD/DVD containing 50 plus years of past issues of the Minnesota Archaeologist (from 1935-1989). The MAS CD/DVD has no search functions. Kelly’s database will allow those who have purchased the CD to search for a specific article or author to learn where to look for it on the CD. It also allows those researchers who have not yet purchased the CD to find the correct volume and issue for an older article. The index does not include articles from the more recent issues beyond 1989. You can download the database by clicking on the link above or here. I was told by my web guru that I was remiss in downloading some upgrades to programs and no one who subscribes to my blog was notified of the last couple of entries. That should be corrected now. So check out the previous couple of entries. One is on the Legacy Project reports available on the Office of the State Archaeologist website and the other on a program sponsored by the Archaeological Institute of America-Minnesota Chapter this coming Thursday, Feb. 2, taking place at Macalster College. For those of you who do long range planning, this week the Office of the State sent out a notice saying that they are shifting Minnesota Archaeology Week to the fall season this year in order to encourage more participation and avoid the inclement weather that has been plaguing the springtime events the last couple of years. Minnesota Archaeology Week will be held September 8th through the 16th, 2012. The latest issue of The Minnesota Archaeologist (Vol. 69, 2010) has just been published and is available from the Minnesota Archaeological Society. It contains another set of interesting and informative articles covering a wide range of topics. I’ve included the table of contents from the issue for your review. 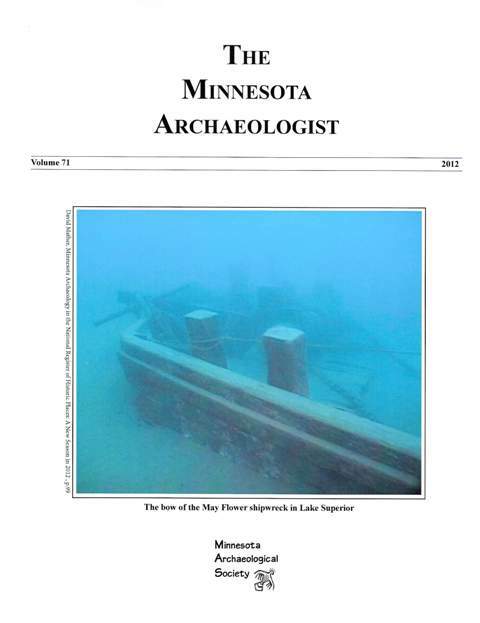 The latest issue of The Minnesota Archaeologist (Vol 68, 2009) has just been published and is available from the Minnesota Archaeological Society. The journal should be mailed the week of November 15th and be to most subscribers by Thanksgiving. This issue focuses on Northern Minnesota archaeology, with an interesting mix of both pre-contact and contact era subjects. There are a several articles on Northern Minnesota lithics and copper and an overview of northern pottery types. Trade period subjects include guns, axes and silver with good papers on each. Discussions about shipwrecks in Lake Superior and Hamline University’s archaeological work in Alaska wrap up the issue. I’ve included the table of contents from the issue for your review.